House Appropriations Chair Says Intention Was Not To Have Pre-Session Negotiated "Deal"
The fact Montana lawmakers were going into this week's special legislative session with no pre-negotiated "deal" in place gave many at the Capitol heartburn. The session wrapped up shortly after 1 a.m. Thursday morning. Governor Steve Bullock called legislators back to the Capitol to help address a projected $227 million dollar budget shortfall and backfill the state's depleted wildfire fighting fund. Billings has a new mayor. Bill Cole won nearly double the votes of his opponent, former Republican state lawmaker Jeff Essman. Cole has focused on drawing young people to Billings and turning it into the kind of city where people want to stay. "I was a little afraid that my message would scare off the voters, but i think it resonated powerfully," Cole said. Cole has called for more parks and trails and more downtown revitalization. Essman had criticized the costs associated with those proposals and possible tax increases to pay for them. Montana Secretary of State Corey Stapleton is reporting voter fraud in Missoula County. But the county’s top election official says it was just a clerical error. Stapleton’s allegation comes a day after state officials certified the results of the May 25 special congressional election. The new chairwoman of the Montana Republican Party says it’s now time to let Congressman-elect Greg Gianforte get to work. 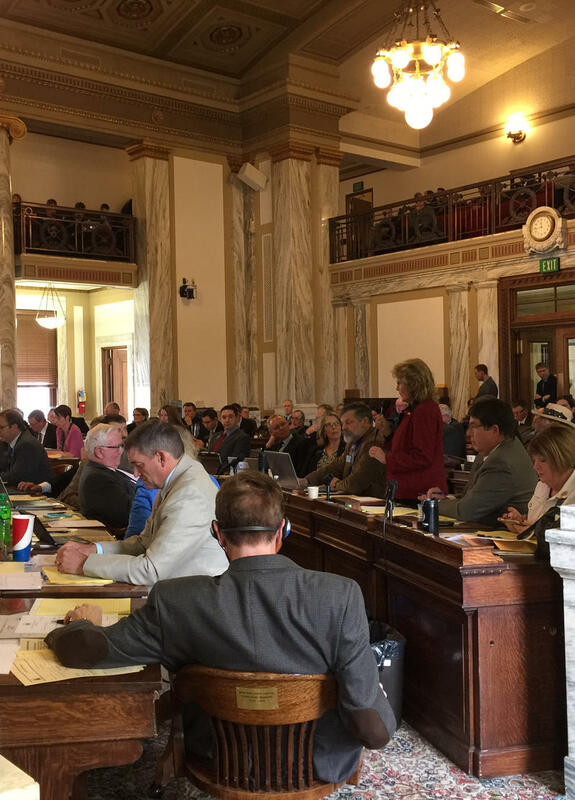 Lawmakers voted Thursday to bank on a projection that state revenue will increase substantially in the next 3 years to help balance the state budget. Democrats called that reckless.